have a sink of hot soapy water and get your egg wet and just wash and scrub for five minutes, remember to do the ends also, when finished pull the hose off, and I add some soap directly to it (the hose tends to stick a bit and the extra soap and scrubbing helps to smooth it out) when finished rinse with cold water. Squeeze it out the best you can then lay them in the window to dry! they are kind of hairy when finished so you can give them a haircut if you like! It was fun doing this and Capri even had fun scrubbing the eggs with me!! Hope you get brave and try it! Oooh fun, I will have to try these with my kids! 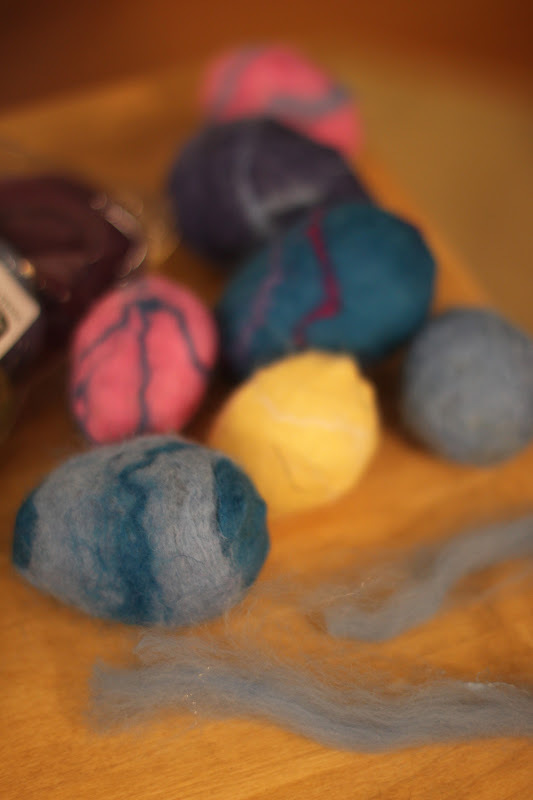 Our dyed eggs that we hang up every year fell to the ground and shattered into a gazillion pieces last year, so maybe we need a new kind of egg around our house that is indestructible! Thanks for the tutorial Nancy! Lisa, They are pretty easy, you just really have to scrub them for 5 minutes! Hope you try it! Hello, this is quite cute and interesting. I find it cute also and I will definitely try this at home. Big thanks for sharing.